In this Tour + Talk we examined some of the background of the planning in Chinatown including the Chinatown Vision, the need for a new perspective for Chinatown planning, what is a Historic Urban Landscape and how it relates to a new perspective. This tour and talk discussed the diversity of North Strathcona as “Vancouver’s first neighbourhood”, the pre-1942 vitality of Japantown, the post internment community and the current issues shaping the future of this historic area. The Burra Charter advocates for a values-centered approach to heritage – the Heather Street Lands is a site of many different values. It is crucial that we work out how these values can be conveyed on the site because in addition to historical value, there are also cultural, social, architectural, natural and economic values. The “humanistic” approach exemplified by the planning experience of False Creek South sheds light on how ideas, associations of meanings, and people’s connections to places are all important aspects to heritage. 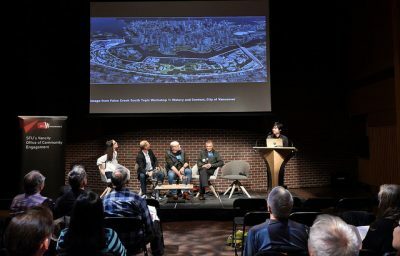 In this session, the panelists discussed successes and failures of this vision, and the value that False Creek South’s particular heritage brings to Vancouver’s future. In this session of Shaping Vancouver, we focus on social priorities and the unique cultural heritage of Mount Pleasant, in relation to the recently-announced SkyTrain extension that will pass directly through the neighbourhood. The new thematic framework being used to update the Vancouver Heritage Register under the Heritage Action Plan of 2015. By definition, subcultures are oppositional in nature and exist outside of the mainstream. As they fight for changes and recognition, these marginal cultural practices may assimilate and change society as a whole in the long term. Various subcultures have emerged and taken root in Vancouver such as punk rock, the LGBTQ community, hippies, the Georgia Straight, and Greenpeace and environmentalism. 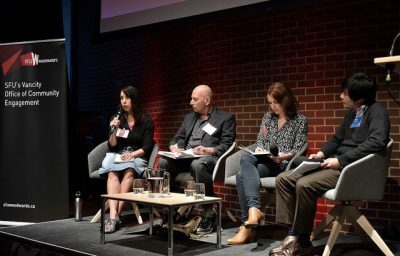 This panel discussion focused on what features are necessary to have vibrant neighbourhoods and communities as well discussed what should be kept in mind as we manage change in Vancouver’s neighbourhoods. What’s So Special About ‘The Drive’? Discussion around the mounting pressure for development on Commercial Drive and its surrounding neighbourhood. This area is renowned for its diversity and vibrant street culture, and the aim of this conversation was to discuss how future development could impact this identity. Discussion around the impact of Transit Oriented Development along some of Vancouver’s prominent North South arterial streets, Cambie, Main, Fraser. These neighbourhood’s character and street level retail have been impacted by the development of high-density mixed-use areas close to public transport. What Is The Vision For Chinatown? There is alarming concern in the community over the impacts of development, as Chinatown’s Neighbourhood has approved high density developments in order to increase housing. The introduction of new typologies to accommodate density and how that has disrupted the existing fabric of the area have fueled fears over the loss of Chinatown character. 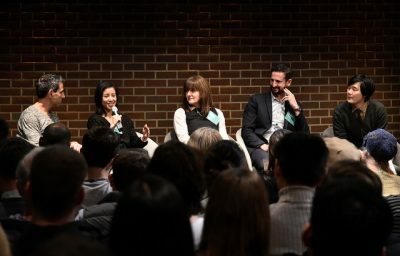 The first panel discussion of the Shaping Vancouver 2015 series focused on heritage conservation areas, and whether they are a viable method to protect the historical character found in Vancouver neighbourhoods. This event focused on what defines Vancouver’s heritage and what heritage values ought to be recognized. This discussion focused primarily on the Heritage Action Plan’s goal of taking immediate action on priority character buildings which will draw information from the upcoming Character Home Zoning Review. Panelists discussed how heritage and character links to community identity and if these unique identifiers are worth preserving. Our main streets are at the heart of our communities, and have often played a key role in the history and evolution of Vancouver’s neighbourhoods. The defining character of these neighbourhoods are threatened by developmental pressure to demolish and rebuild.